Teenage rights activist Malala Yousufzai, shot in the head during an assassination attempt by the Taliban, was making 'slow and steady progress' at a top army hospital in the Pakistani garrison city of Rawalpindi and her condition was satisfactory, the military said on Sunday. 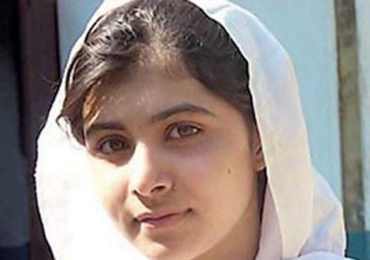 "Doctors have reviewed Malala's condition and are satisfied. She is making slow and steady progress which is in keeping with expectations," chief military spokesman Maj Gen Asim Saleem Bajwa said in a statement. Malala has been on ventilator since she was shifted from Peshawar to the Armed Forces Institute of Cardiology in Rawalpindi on Thursday after doctors removed a bullet lodged near her backbone. She was shot in the head and neck during the Taliban attack on her and two of her school friends on Tuesday last. Bajwa said recovery from 'this type of injury is always slow'. Doctors are continuing to monitor Malala's condition closely and another detailed review will be carried out on Sunday evening, he said. On Saturday, doctors reduced Malala's sedation so that neurosurgeons could make a 'better clinical assessment'. Malala responded to stimulus and moved her hands and feet slightly. Bajwa said that authorities have made preparations for all contingencies, including shifting Malala abroad for treatment, though no decision has been made in this regard. The banned Tehrik-e-Taliban Pakistan claimed responsibility for the attack on Malala, saying the girl was targetted for backing Western ideals and a secular government. The shooting of the teenager has been denounced across the world. Pakistani authorities have offered a reward of Rs 1 crore for information that leads to the capture of Malala's attackers.